Click for larger calendar view. Click here to sign up for our parish email lists. For the latest funeral and event announcements click here. For our Weekly Email Update Archive click here. 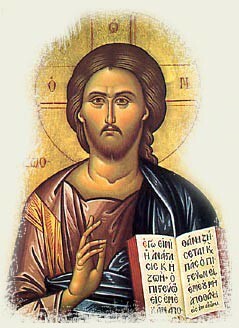 For the latest Foni Kyriou (The Lord's Voice) in English click here, and for Greek click here. The Fall Food Festival is Sept 20-23! 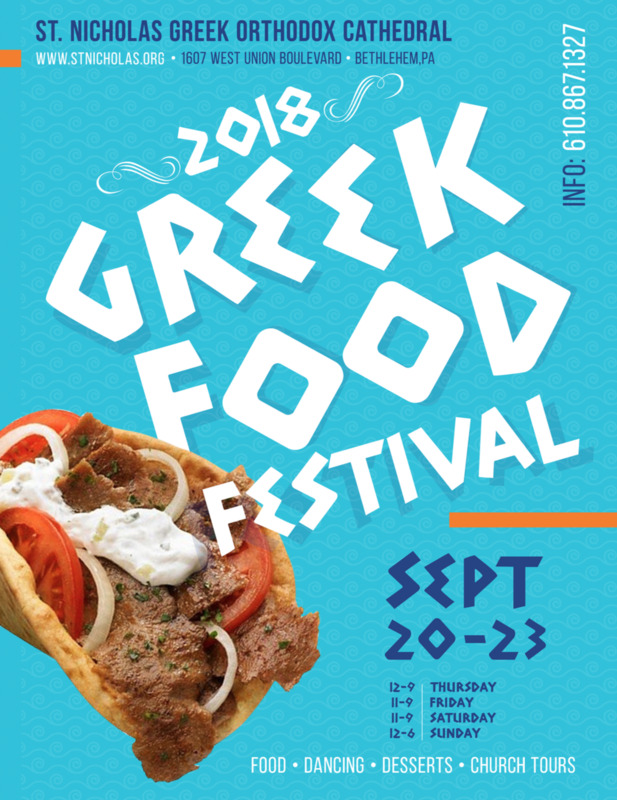 It is that time of the year again, when Summer turns into Fall, and the best Greek Food can be found for only a few days at St. Nicholas Greek Orthodox Cathedral. Served by our volunteers fresh, hot and with a smile. And leave space for deserts! So stop by every day, and try them all. Bring your family, and your friends! Click the poster for a JPG graphic file or the link for the PDF poster. Please like on Facebook and share with your Facebook friends! Please print and post in your place of business: PDF. Spring Festival Dates: May 16-19, 2019. Always Good Food and Good Times! Like us on Facebook to receive updates and alerts regarding St. Nicholas Church happenings, our Greek School, the St Nicholas Academy, and other Saint Nicholas Greek Orthodox Cathedral related organizations. Events and announcements appear first on our facebook page. Please address website feedback/comments to the webmaster. The Priests and the Parish Council work hard to serve this wonderful community with the many different programs, ministries and projects that are undertaken. We look towards the 21st century with much hope, promise and determination to serve our children and the entire Saint Nicholas Community.